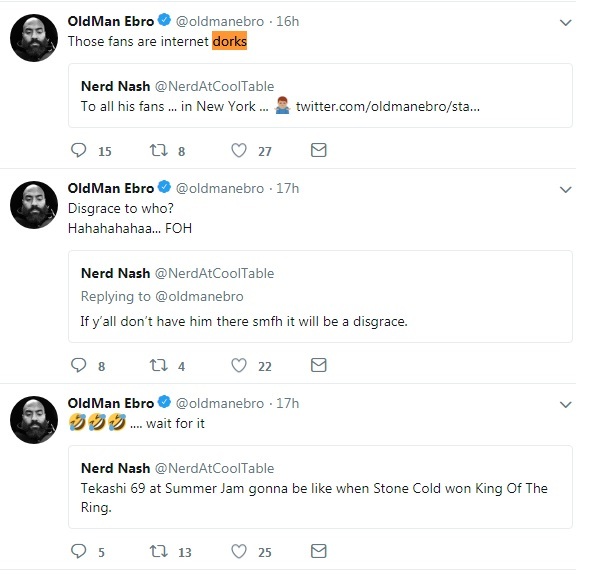 Old Man Ebro Trolls 6ix9ine Fans, Calls Them "Internet Dorks"
Tekashi 6ix9ine’s name continues to be on many-a-mouth. Last night, he found himself in a heated exchange with fellow Freshman Class aspirant Bhad Bhabie, who venomously dubbed him “Trippie Redd’s son” in a heated tirade. 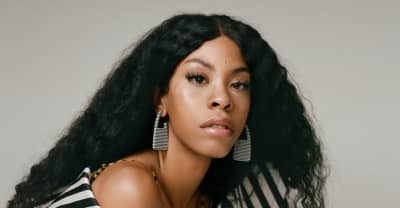 The self-proclaimed king New York rapper has enemies in every corner, and that’s exactly how he likes it. Unfortunately, the bias against 6ix9ine’s meteoric rise seems to be rubbing a few prominent media figures the wrong way. 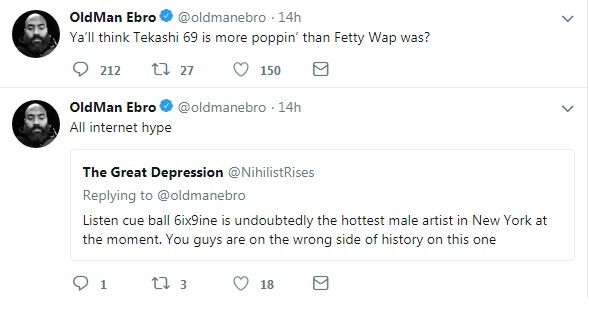 Old Man Ebro recently went f on Twitter, all but confirming that 6ix9ine will be omitted from the upcoming Summer Jam lineup, despite being one N.Y’s most prominent young artists. 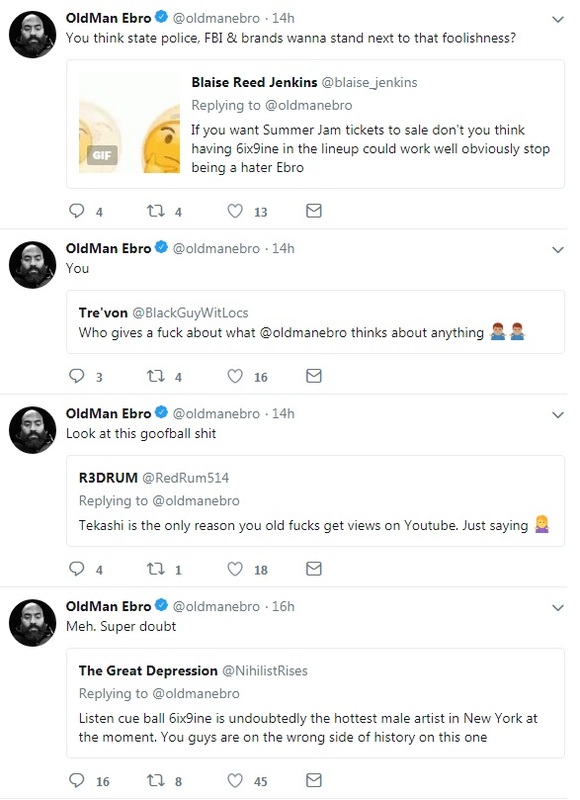 Naturally, this led to many a Tekashi stan coming for Ebro’s head, and the various exchanges were captured on Twitter. This isn’t the first time Ebro has been dubbed an enemy the youth; after all, this is the man who unsuccessfully attempted to persuade Lil Uzi to rap over DJ Premier. He proceeded to rattle f a few “fightin’ words” in the direction Tekashi’s fanbase, whom he dubbed “internet dorks” without exception. While it’s true that Tekashi’s rise largely popped f due to the internet, it does seem ignorant to hit millions people with a blanket statement; hell, the majority modern-day hip-hop listeners are no doubt internet savvy. Check out some Ebro’s tweets below. Is he out his element a la Donny? Or does the Old Man have a point about the rainbow headed wonder?